According to an exclusive report by The Lo-Down, ever-prolific firms JDS Development and SHoP Architects are partnering up once again to build a soaring 77-story residential tower at 247 Cherry Street on the Lower East Side. When complete, the building will reportedly add a total of 600 apartments, 150 of which will be affordable housing units, to the neighborhood. Although few details about 247 Cherry have been confirmed, the first renderings show an exterior that is a contemporary mix of terracotta brick and glass. As far as residential space, the tower will offer studios as well as one- and two- bedroom units. The affordable housing units will be scattered throughout the building, eliminating even the possibility of a poor door situation. In accordance with the agreement between JDS and the nonprofits, JDS will provide upgrades for a senior center that sits adjacent to the planned tower site. 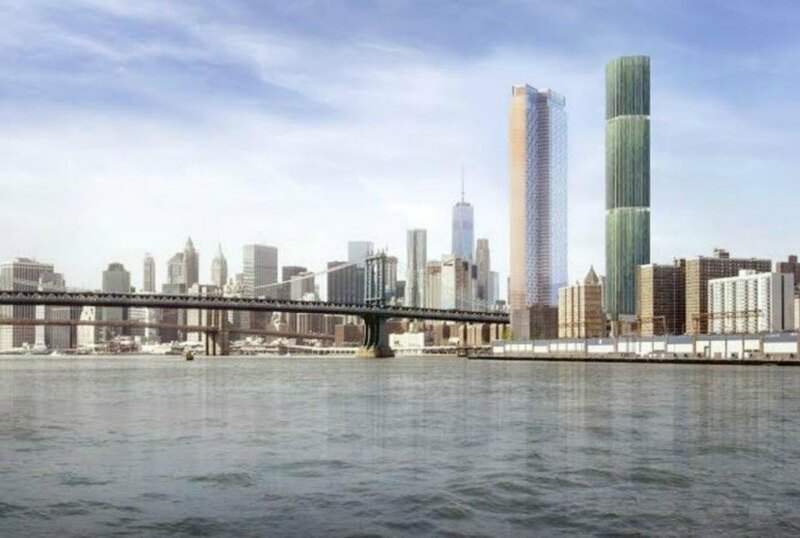 In addition to flood-proofing the property and upgrading the lobby, the development company will provide a 4,600-square-foot community center for seniors inside the new tower. Construction on 247 Cherry is not expected to start for at least two years.